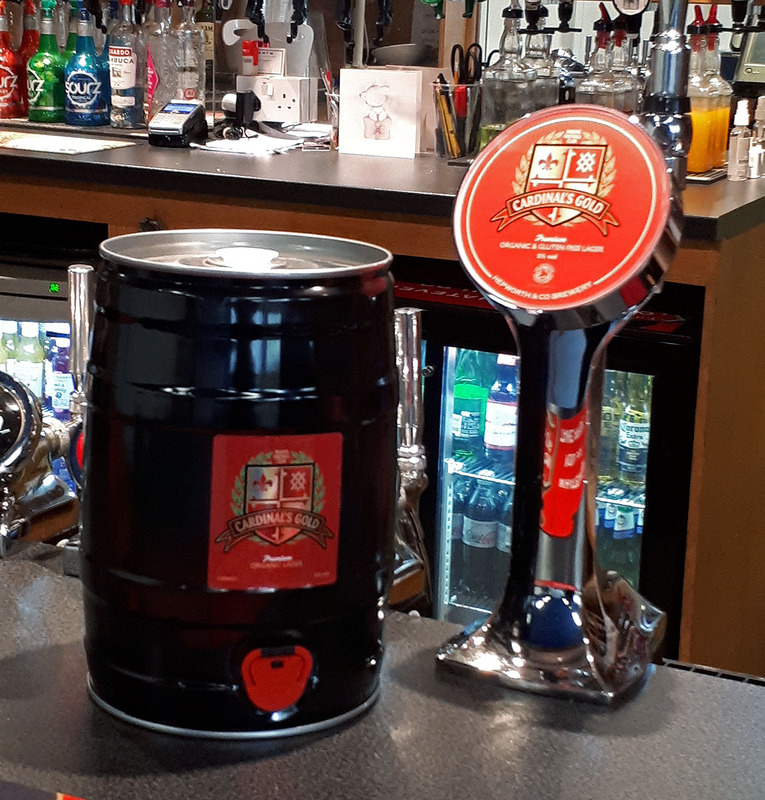 Woking Football Club is pleased to announce that Cardinal's Gold Mini Kegs will be available to pre-order from tonight's game against Hungerford Town. The Mini Kegs hold 5 litres of Cardinal's Gold and will cost £25 each, which will need to be paid in advance. You can order and pay for them over the phone with Debbie (07525 115286) or Jan (01483 888420), or come into the ground on match days or during the week between 9am and 1pm. Last orders need to be in by 1st December.